This award-winning project was an enormous undertaking, completed in a whirlwind of concrete slurry and carpet fibers. While the T-Mobile Arena in Las Vegas, NV is now home to America’s newest NHL franchise, the project was started with a gamble. A longtime dream for metro Las Vegas and MGM Resorts International, the hospitality company took a risk and built the arena without a commitment from a team. “If you build it, they will come,” became the slogan behind the space, and while this made some financial backers uneasy, the bet paid off. 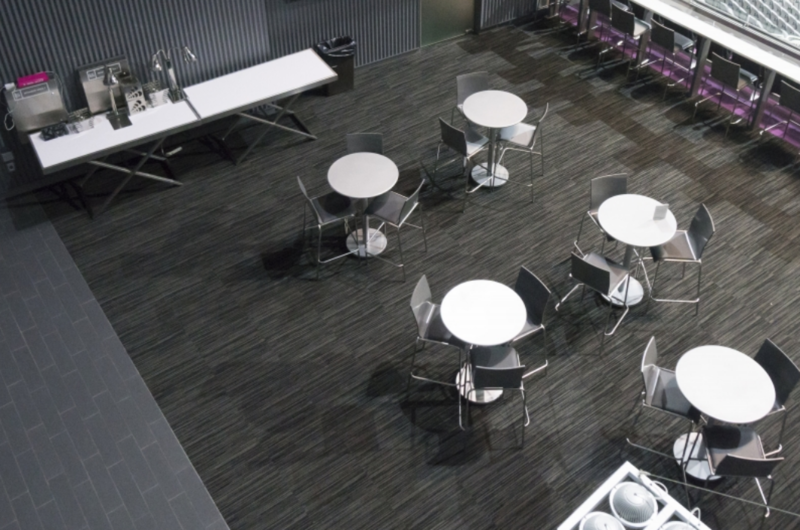 Just as impressive is the story behind the flooring installation. 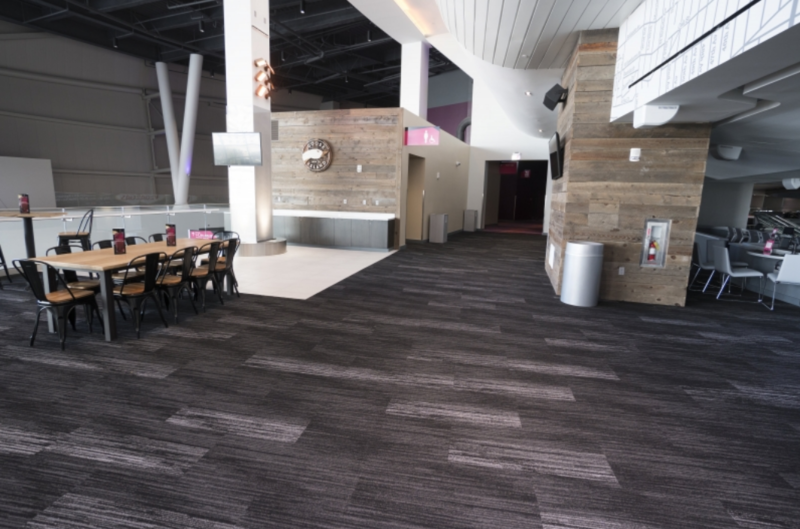 Completed by INSTALL Warranty Contractor Master Craft Floors, the timeline, material choices and design specifications were almost as ambitious as starting a hockey franchise in the middle of the desert. Work on the T-Mobile Arena officially broke ground on May 1st, 2014. The facility was projected during construction to be the home arena for a possible National Hockey League expansion team in Las Vegas. However, with no official commitment when construction started, doubt was beginning to grow that Las Vegas could attract a professional sports franchise. Work continued on the venue, with flooring installation and the final build-out taking place in spring of 2016. 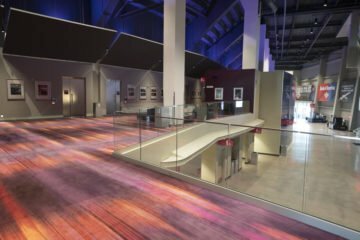 Master Craft Floors, an award winning flooring contractor with experience in large hospitality projects in Las Vegas, was selected to help specify and install the enormous swaths of carpet, soft surface, resinous, sealed concrete and polished concrete flooring. 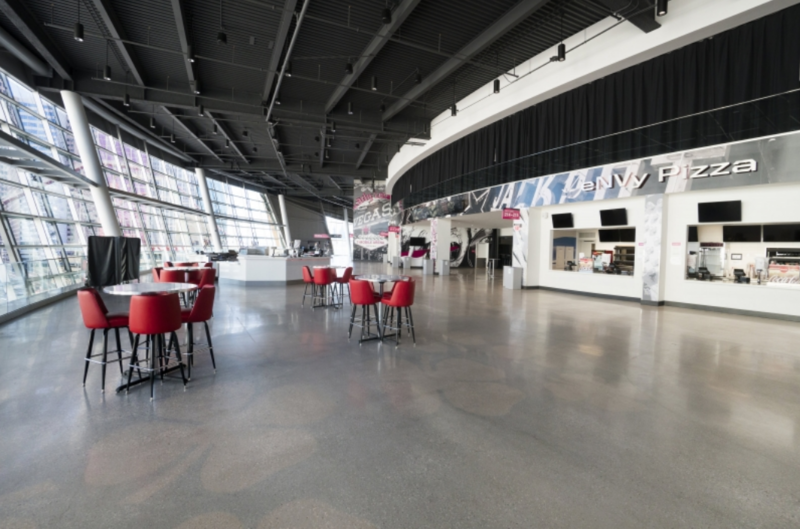 The T-Mobile Arena officially opened to the public in April 2016, boasting a unique contemporary design. Multiple geometric shapes integrate to form a six level circular design. This makes the arena look deceptively small. In reality the exterior façade envelops seating for 20,000 people with numerous exterior balconies and a 2-acre plaza in front. Thankfully, the dream for metro Las Vegas and MGM came true in June of 2016 when it was announced that the Las Vegas Knights would be the newest NHL franchise. 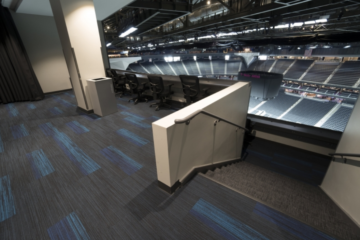 The ultimate challenge with the T-Mobile Arena project was the sheer size and scale of the installation, combined with a very tight timeline and no working elevators. Thankfully, the expert team from Master Craft Floors included 40+ floorcovering professionals that were eager for the challenge. It was no easy task as the design called for 12,000+ square yards of soft surface, 20,000+ square feet of resilient, 30,000+ linear feet of base, 35,000+ square feet of resinous floor, 140,000+ square feet of sealed concrete and 165,000+ square feet of polished concrete. Six floors of steps with no functioning elevator until the very end, would have broken a lesser team. Thanks to extensive experience and INSTALL training the Master Craft Floors team was on top of the pushed timeline and worked tireless, long days onsite. The project was segmented with 10 onsite superintendents each clamoring for results in their areas. The INSTALL-trained and certified employees performed flawlessly, delivering success for each of the 10 project leaders. 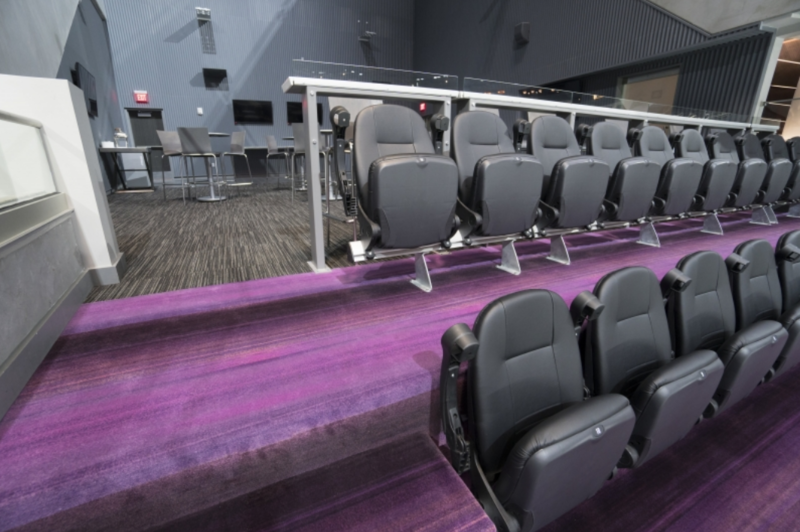 The process resulted in a stunning, contemporary entertainment facility. The architectural and design masterpiece is now a regular backdrop for concerts, events, headline boxing matches and a variety of other performing arts. Plus, the Las Vegas Knights recently took the ice for the first time this fall as they kicked off the 2017-2018 NHL season.